What if you could view the night sky without any interference from electric lights, moonlight, and cloud cover? You’d see the stunning display of stars depicted in the Map of the Universe poster. 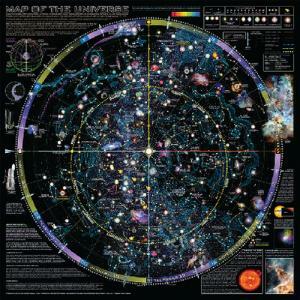 This beautiful chart is a true guide to the heavens over the Earth’s northern hemisphere. Size: 36 x 36"".